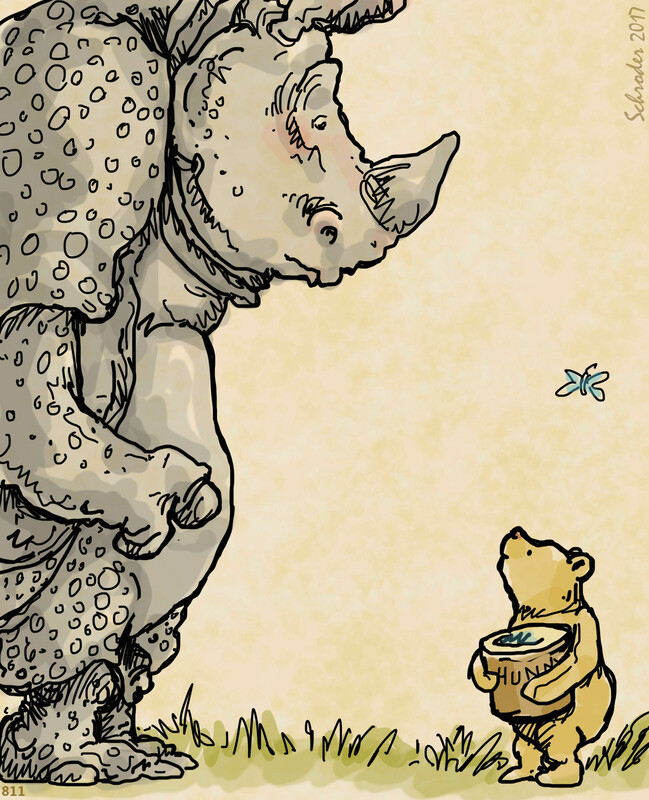 January 18 is the birthday of AA Milne, 1882. Drawing inspiration from his young son, he created a world of stuffed toys, each with a personality and endearing quirks. This world was brought to life by EH Shepard, the illustrator of Winnie the Pooh, as well as The Wind in the Willows. What a charming legacy, Rhino or no Rhino. Thank you, Gentlemen. No, no, kind sir! Thank YOU! Absolutely delightful! Oh, oh Bill, absolutely perfect way to start the day. Thank you!